If you’ve been following us around for a while now, you will remember that the past May we’ve spent a good week in Riga. You probably also noticed that we enjoyed it tremendously. As the guests of ‘Riga 2014’, this year’s European Capital of Culture, we had a great opportunity to really get to know the city. Being introduced to the Latvian capital by locals really gave us the opportunity to keep our eyes open and to get a good understanding for what the city is like. 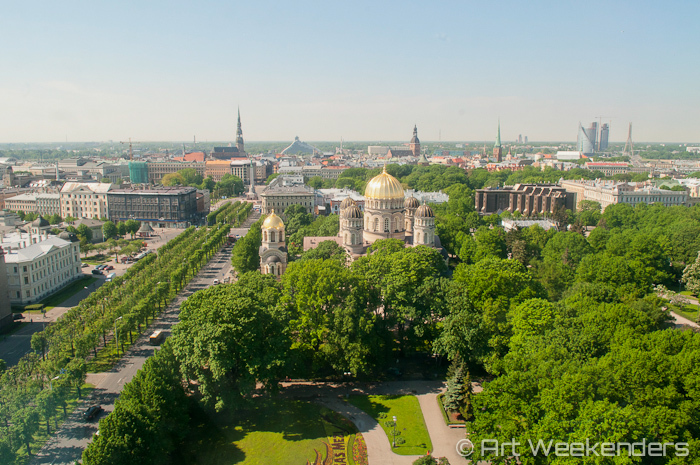 Being blessed with a lovely week it was easy to quickly add Riga to one of our favourite cities in the world and certainly one in our immediate reach here in Europe. One of the projects we, the two ‘Art Weekenders‘, like to put extra energy into is to put the places we like into a special place on our agenda and focus. One step in that process is to create cultural travel guides for these destinations. As it happened, first out was Rio de Janeiro, but now we shift back our focus to Europe and first out of our European favourites will consequently be Riga. Riga is a city that deserves special attention, we believe. It’s a city with plenty on offer, it’s both culturally rich and historically interesting, it has a green profile that makes it very attractive and did we mention the local, hearty food? What more, it’s a perfect weekend destination: it’s relatively compact if we consider it from a touristically interesting aspect and it’s easy to get around. While we certainly think there’s more to see than what you can squeeze into one weekend, here’s the good news: it’s comparably speaking still a good value destination, so why not go more often than just once? These days there are more and more flight routes opening up to the Latvian capital and if plans go well, the local airport might even get an extension soon enough, which should make it even better. 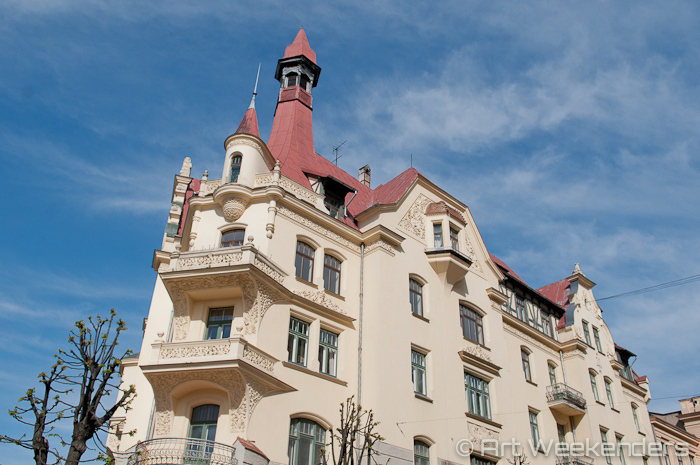 We already presented some aspects of Riga in earlier articles, both on our blog and on our main destinations pages, like when we presented Riga’s famous Art Nouveau architecture. We certainly have a few more articles lined up, and now we have our Riga Cultural Travel Guide ready to accompany you on your journey, if you’re heading that way (and if we haven’t convinced you yet that you should – as long as you who read this aren’t too far away, of course – we’ll try again). Our guide to the Latvian capital certainly covers everything that we found interesting and what our further research uncovered. On some 100 pages (and there’ll be more) we highlight all the attractions we find worthy to consider seeing. The guide is organised in such a way that you can cherry-pick the highlights you’d like to see, while also giving you a clear idea about what there is to investigate. We believe that a city is best explored by looking around independently, but we don’t believe that you should walk around totally aimlessly, some guidance is good to have with you. If you have all the time in the world for exploring and you can go back and forth to places, sure, that’s the best way forward. But reality is different: time is limited and it’s rare that we can go back to the same place frequently – so why not making the best out of your visit with the minimal effort? We help you. Also, while researching is fun, it’s also time-consuming; here we did a good chunk of the work for you, and we think you’ll be better off making yourself comfortable on one of the city’s many terraces and observe what happens instead of sitting in the hotel room googling around for hours. Historic background to the city. Green Riga, i.e. a look at the city’s great parks. Each attraction in the guide is presented on one page, describing what to expect, but also the necessary practical details like location, opening hours, admission fees and our guidance with a rating (although keep in mind that if it’s in the guide it is already an indication that it’s an attraction worth looking into). Our Riga Travel Guide is downloadable and compatible with all mobile devices (but certainly even usable on non-handheld computers). The idea is that it should be in your pocket when you need it and we think and hope it’s easy to use. The Riga Travel Guide is now downloadable via Gumroad, this great platform that we highly recommend to check out if you have own products you’d like to bring to a wider audience – the platform’s ease of use is fantastic, it’s secure and best of all, operated by young independent entrepreneurs. Riga Travel Guide – now downloadable on Gumroad in just a few simple steps – it’s safe and simple! The guide is downloadable for the equivalent of a cup of coffee, it’s yours for just €1.99. Are you already one of our subscribers to our newsletter? You’ll get a message shortly to your inbox with a code for a limited offer for downloading the guide totally free. 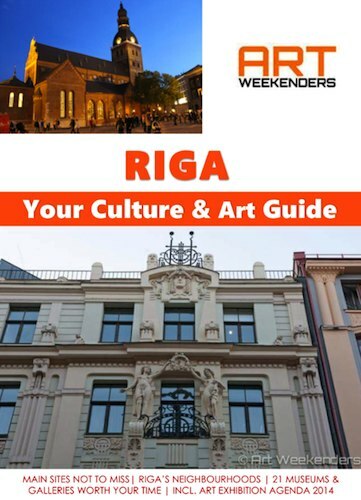 Would you like to get the Riga Travel Guide for free, but you’re not a subscriber? It can also be arranged: please join our community of cultural travellers by joining our mailing list (promise, no risk for spamming, we only send information that we think you can find interesting around travel, art and cultural topics). Once you signed up here (link to signup page) or here below and your subscription is confirmed, you’ll receive the link with the offer in your mailbox. Hope you will enjoy our Riga Travel Guide! Please also keep in mind that we’ll keep updating the guide and we intend to keep it fresh, be it to reflect changes (venues can open and close for instance), and of course, to update the exhibition agenda with all the current events. To get the updated guide for free we’ll regularly notify via e-mail where the most up-to-date link for the download will be included. Riga Travel Guide is here to download, just follow this link.